Housed in festive inspired packaging, the Caudalie Winter Duo is the perfect gift. Combining a travel sized lip treatment with a softening hand and nail cream, the duo will leave you feeling perfectly pampered and moisturised wherever you go this holiday season. Moisture, softness and youth are combined in this antioxidant rich hand and nail cream. The fresh orange pulp protects your skin and leaves it silky smooth, with an invigorating fragrance softened by almond powder and a drop of rosewater. Formulated with 99% naturally-derived ingredients, this beauty treatment repairs damaged lips with each application. 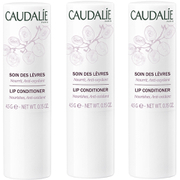 With antioxidant properties, it also delivers nutrition and protection for the lips all day long.